AEK Athens started their European campaign in Champions League this season, but the team was eliminated by CSKA Moscow and then moved to play in Europa League. Their performance in this competitions is much better and still without a lose in the group. 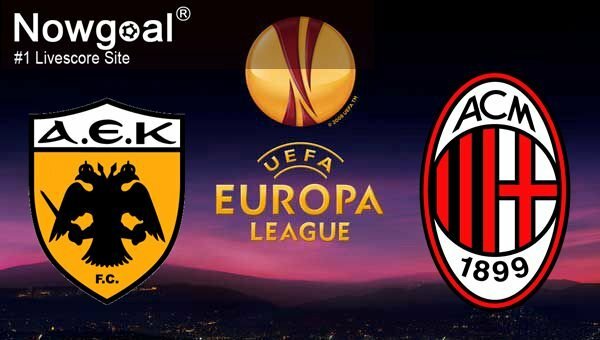 AEK beat Rijeka with 2-1 away at home, while after that made 2 draws with Austria Vienna 2-2 and Milan 0-0. So now are second in the table and with big chances to qualify for next round. In the last couple of days played two games from Greece Cup and Super League and won them both with 7-0 over Apollon Larissa and 1-0 over Panionios, so good moment form. Barkas and Chyrgrynskiy are both doubts, but most probably will be included in the squad, so full squad available for the home side. Milan are on top of the table in Group D in Europa League after 2 wins over Austria Vienna with 5-1 and Rijeka with 3-2, also a draw against AEK in the first game after 0-0. But their form in the last games is not best. In the last weekend lost at home vs Juventus with 0-2, which was 4th lose in the previous 8 games from all competitions. In this period got only 2 wins. Away at home are also with difficulties as lost 3 from last 5 trips in league. Also some important players like Bonaventura, Calabria and Conti are injured and will miss this trip. After all, Milan had huge problems with AEK at San Siro and ended 0-0. Milan is not in best form right now with only 2 wins from last 8 games in all competitions, while AEK showed good performance in the previous 2 games and got two wins with 7-0 and 1-0, so here I expect a tight game and under again.